Infinetix has developed an external cloud-based web server (providing data aggregation, visualization, and network management) for Infinetix SmartMesh® Gateway devices. This application utilizes JS chart and amCharts for management and presentation of data posted by the Gateway SW application. 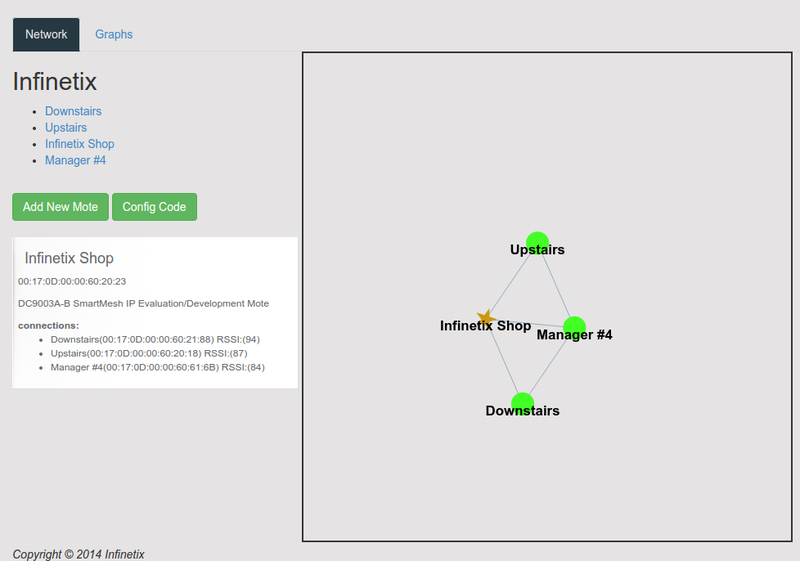 Below is an example of the network display, showing the interconnects between the motes and manager, with one of the motes selected to show more detail. And below is an example of a couple of weeks of temperature data from this network, collected by the gateway application, as displayed by the cloud application. Click this link to see examples of live networks managed by this application.